Uber is back. Lyft is here. And the University of Oregon is ready. The ride-hailing companies have announced they are working with the city of Eugene to meet local requirements for background checks and other safety and accountability measures and expect to be approved and start offering rides the week following Labor Day. Lyft has said service starts Sept. 5; Uber has targeted Sept. 6. University of Oregon Parking and Transportation has designated campus spots for ride-hail pickups. To keep traffic through campus as safe and smooth as possible for vehicles, bikes and pedestrians, those locations are the only approved collection areas. Ride-hail companies are expected to geofence the rest of campus so drivers can only accept fares for the designated locations. Uber has been away from Eugene since 2015, when after less than a year of operating it pulled out of the area instead of complying with a local hearings official's ruling that the company would need to secure a taxi-style vehicle-for-hire license. Since then, no ride-hailing companies have operated in the community. Lyft has never operated in Eugene. Ride-hailing is one more of the many ways to get around the community from campus, along with Lane Transit District bus service, free to UO students and employees with a valid UO ID card; the UO Campus Shuttle, a fixed-route van service that runs daily 6 p.m.-1 a.m. from Sept. 24 until spring term, when it shifts to 8 p.m.-1 a.m.; Safe Ride, prescheduled rides around the area, free to UO students and employees; the Designated Driver Shuttle, on-demand rides home; the Access Shuttle, van service for those with mobility challenges; UO car-share; and PeaceHealth Rides bike-share. Another new way to get home safely this fall is rides for students from Autzen Stadium during football games. 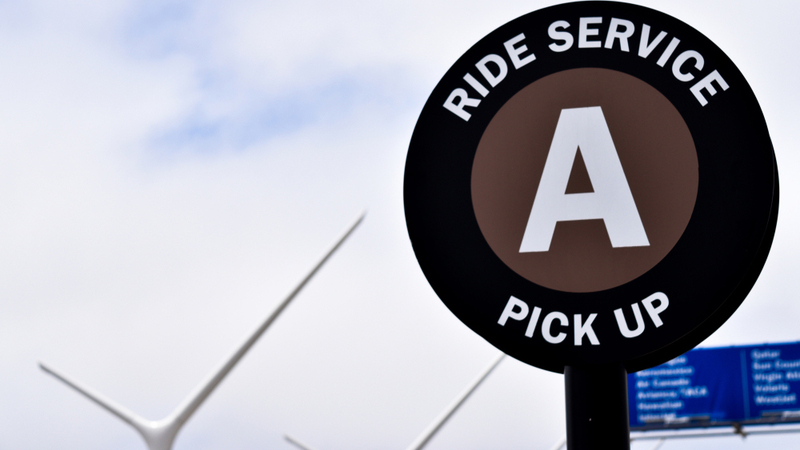 Because stadium re-entry is no longer allowed for those who leave for any reason, the rides program from UO police is offering rides from Autzen to anywhere in the Safe Ride service area, from kickoff through the end of the third quarter. Request a ride at the tent outside the south gate. For more ideas on travel to, from and around campus, visit parking and transportation or call the active transportation coordinator at 541-346-4588.